Company Name: Kyowakiden Industry Co., Ltd.
Kyowakiden Industry was established in 1948 in Nagasaki, Japan. We began our business as a public infrastructure provider, especially of waterworks and electric power utilities. Currently, we are taking active parts in a wide range of environment-related fields in Japan and overseas. The three main fields of our business are water treatment, electric and industrial machinery, and maintenance and operation. Our integrated systems include from planning, construction, to maintenance in a row, which are ensured by our experiences over tens of years. Our systems are also furnished by renowned technical expertise which is based upon our corporative philosophy. In addition to its traditional and highly entrusted field, Kyowakiden has been globalizing these days with water treatment, including groundwater purification and sewage water treatment to China. 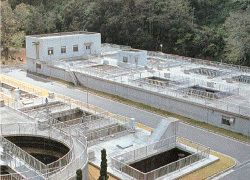 Kyowakiden Industry can meet all your water processing requirements by applying either conventional or modern water treatment technologies. 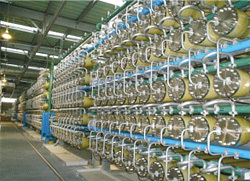 In particular, a combination of sand filtration, activated charcoal, membrane filtration (UF, MF, NF), RO (reverse osmosis) membrane, ion exchange, and treatment with ozone can provide low quality underground water with optimal water treatment system. Through consulting about your existing equipments, we can provide green, energy-saving and labor-saving (automation) solutions to contribute to the realization of low-carbon society. We suggest the optimal systems for the required water quality in the industrial field, including effluent recycling systems and discharged water recycling systems for factories producing electronics, IC components, foods, paints, and plastics. Not only designing and manufacturing individual recycling systems, we also offer diagnosis to existing plants and equipments for more efficient process flow through saving energy and labor(automation). We have been maintaining and operating Japanese largest RO seawater desalination plant with a capability of 50,000 m³/day, that is “Mamizu Pia” of Fukuoka District Waterworks Agency. Through consecutive management and regular maintenance based on monitoring water quality and quantity, this facility has been continuously supplying safe, great-tasting water with its energy-saving system. 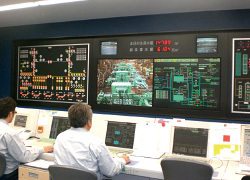 Our know-how of operating this facility can also be applied when planning plant upgrades and asseting management.